Fast food manufacturers have pledged that they will cut down on the amount of salt and artificial fats in the food they produce, as part of a new set of agreements announced by the government in March 2011. The changes are a result of the government persuading big fast food manufacturers including McDonalds, Pizza hut, PepsiCo and Mars to promise to cut the levels of unhealthy salt and trans-fats in foods. Trans fats have been linked to heart disease. This type of campaign used to be orchestrated by the Food Standards Agency (FSA) but they were disbanded when the new coalition government came into power, and they were replaced by Health Secretary Andrew Lansley’s voluntary 'Food Network'. Andrew Lansley has written to all the current Food Network members and asked them to make a written commitment to ban trans-fats, cut salt levels, and even go as far as printing the calorie count of all their dishes on their fast food menus. The Food Network includes representatives from many of the major global food companies, as well as the Department of Health and charities. The government has been keen to point out that the scheme is voluntary, and says that it also wants to avoid regulating food companies. What Effect will the Agreement have? Some government officials have expressed their unhappiness about the scheme, especially the calorie information, and many don’t think that it goes far enough to make any difference to the health of the nation. The regulations are not being changed, all that’s happening is that fast food and other food firms are being asked politely to promise to make the changes, to achieve "specific, stretching targets by 2012". The idea of the agreement is to get manufacturers to help the government in its target to reduce the average adult’s salt intake for an adult to 6g a day. The current daily average is 8.6g. If manufacturers play ball and reduce the amounts in their foods, by 2012 on average 100g of sausages would contain 1.13g of salt, while 100g of pasta sauce would contain around 0.83g of salt. One 100g pizza slice would be expected to contain just 1g of salt. 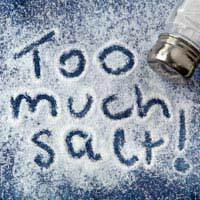 Reducing intake of salt to 6g a day could (according to the now defunct FSA) prevent around 20,000 premature deaths every year. Fast food manufacturers would be expected to finally remove all of the artificial trans-fats from their food products by the end of 2011. According to government officials, the reason that the measures are being introduced on a voluntary basis rather than through legislation is that they believe the changes will take place more quickly and cost the tax payer less money if legislation isn’t involved – but whether they will have any effect without legal back up remains to be seen. The companies signed up to the Food Network are in discussion about a "responsibility deal" which will affect the content of the foods they produce, and the packaging and labelling of their food. The three voluntary “responsibility deals” are intended to help the public eat more healthily, and tackle the so-called obesity epidemic. Andrew Lansley believes that food manufacturers will be more likely to set and achieve ambitious targets if they are negotiated on a voluntary basis. The only backbone the deal appears to have is the warning that if firms break the promises made under the responsibility deal; the Government will consider using compulsory measures to get them to conform.